There is a long and diverse list of concrete examples for strategies deployed to jeopardize the effectiveness of journalism’s watchdog role. Such strategies can be grouped into three pressure points, affecting editorial independence, news sources, and the audience. Political pressures that impact editorial independence are particularly evident in the case of Public Service Media. 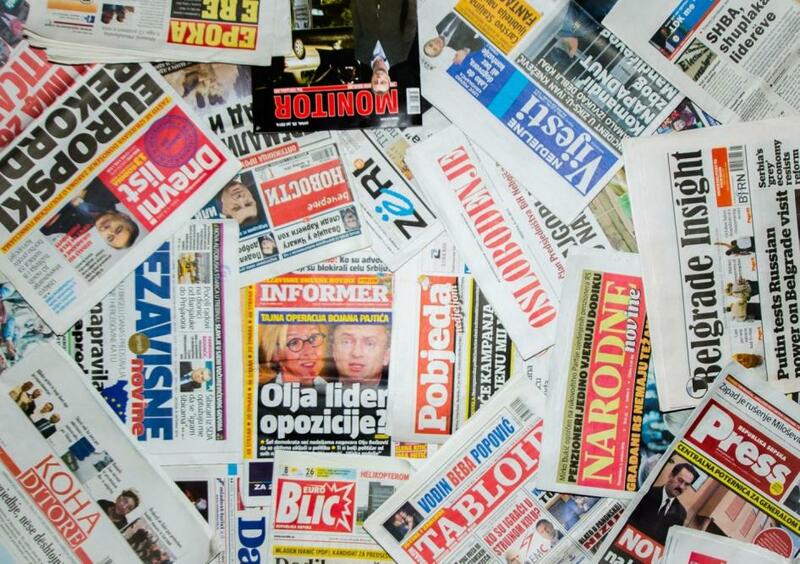 Radical staff reshuffling which takes place after new elections in public broadcasters in Croatia or in the Serbian autonomous region of Vojvodina remind us that political appointments of regulators, public media managers and editors is a classic way to influence editorial lines. Political interference can be even more direct: In South East Europe, public officials are often reported as being very vocal in expressing their displeasure about published materials. Last July, the Bulgarian Minister of Culture reportedly expressed his discontent towards a TV host of the national television network, saying: “I advise him not to constantly make fun of the state, which pays his salary too”. As epitomised by the disconcerting reaction by the then Croatian Minister of Culture to the attack against a renowned journalist, it is not unusual for public officials to remind journalists of their responsibility for what they say and write in public, giving the impression that journalists who are attacked should be held accountable for what happened to them. Thus, the strong reluctance of government institutions to condemn violence against journalists feeds into a broader context of impunity and must be taken into account among the factors that influence what the media do or don’t cover. Be it through the control of advertising money, the (non-)distribution of public funds, or via direct / indirect blackmailing on employment grounds, financial pressure proves another effective way to control editorial lines. “We were covering the story of a businessman who irregularly built a house on the Dalmatian coast. We received an anonymous notification and from there we started to investigate on the story. When this was already done, the owner of the company got to know about this, and exerted pressure on the editor in chief to prevent the publication. The pressure was big, and in the end it was not published. The company involved gave us three big ads to our weekly. For our silence”. “In the 1990s, obviously, the biggest problem consisted of the pressure exerted by politics. All the publishers and newsrooms were connected somehow to the authoritarian regime. Since then, things have changed: since 2000, when the political pressure started to diminish, the economic pressures have increased. This has much to do with the influence of advertisers and ads revenue”. This is even more pronounced if it is coupled with worsening labour conditions for journalists. Deregulation of employment conditions has exposed non-conformist voices to greater vulnerability, paving the way to self-censorship and the forced erosion of professional standards. Journalists’ work is also threatened also by lack of access to and protection of news sources. Even in the presence of robust laws, the right to access public information is poorly implemented. Journalists in theBalkan region complain about a lack of cooperation from public authorities and long delays in providing requested information. Findings in the report ‘Transparency in the Balkans and Moldova’ highlight that political parties and the government are usually the entities that put up greater resistance to release information. While stressing the lack of specific obligations to provide information to journalists within shorter deadlines, a recent regional study gives evidence that policies of accreditation are also regularly used by those in power to deny or restrict journalists’ ability to cover news. Another common technique is to‘freeze’ journalists out, both in the sense of ignoring them, not responding to request for information, comments, interviews, and in the sense of cutting them off from publishing their material. Concerning the protection of journalistic sources, the case of the Macedonian journalist Tomislav Kežarovski – who spent over two years in prison in retaliation for having failed to reveal his sources in the investigation about the death of another Macedonian journalist, as he told Human Rights Watch – is one of the worst examples of the pressure to disclose sensitive information affecting reporters throughout the Balkans. Extralegal pressures can effectively target the relation between journalists and their audience. Discrediting journalists through slander and defamation is very common in SEE. With high-ranking public figures often labelling journalists as enemies of the nation, foreign agents, thieves, media mafia, prostitutes and the like, hate speech against journalists has become institutionalised and is often echoed through smear campaigns by pro-government media. Investigative journalism has increasingly moved to online media. In response, a growing number of cyber-attacks have been documented and it is telling that no country in the region has so far drafted a specific regulation protecting media freedom online. Recent developments inside and outside South East Europe show that when crises arise, media and journalists’ independence becomes more severely curtailed. However, the erosion of media freedom is a long process and requires long term strategies fight back. An essential step in this direction is to improve working conditions of journalists and their adherence to code of ethics, through support to unionising and the creation of alternative business models, including cooperative media ventures. Second, as pointed out by the Safety Net report, it is urgent to involve the public in protecting and restoring value to journalism as “journalism cannot survive without support from the public and the society it is meant to serve”. As a prerequisite it is important to monitor, publicise and explain the situation of the media and its impact on democracy, possibly by developing stable structures and common methodologies for monitoring violations, and other relevant indicators such as media ownership and financing. Given the reluctance of the nation states, this task calls for supranational support from the EU and international institutions, and for transnational information aimed at strengthening an alliance of quality journalism across borders, nurturing the public and policy debate at the European level.